Holiday Happenings at the Seaport Grille! Order your Holiday Pies here! 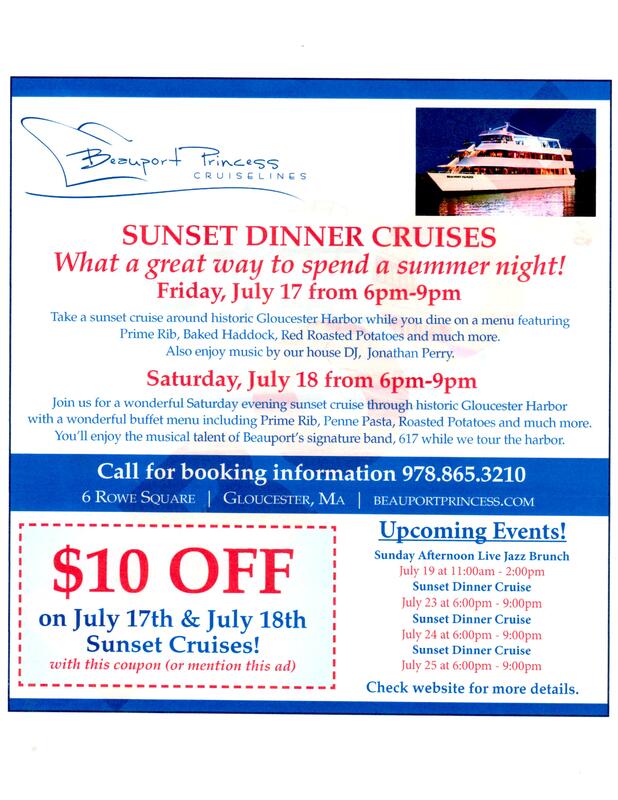 Don’t forget, if you buy a $100 gift card to the Seaport Grille or Beauport Princess Cruiselines, you’ll receive an additional $20 gift card at no cost. Enjoy the $20 card yourself or use as a stocking stuffer for someone else on your list! 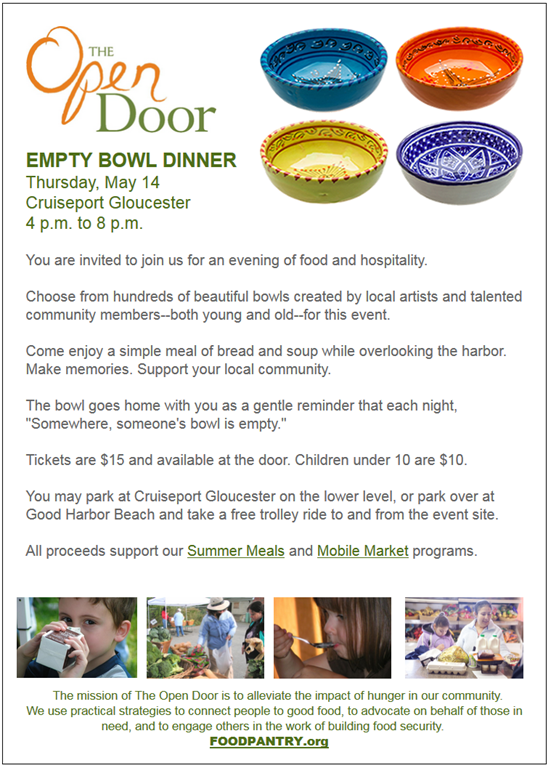 Visit the Seaport Grille to purchase either card or call 978 282 9799 to order. There’s no better time to start thinking about your holiday shopping! The most delicious fundraiser of the year is nearly here – it’s time to get your restaurant registered or your event ticket ordered. Last year’s event included nearly three dozen food and beverage purveyors and nearly 300 guests! The Cape Ann YMCA’s 7th Annual “Taste of Cape Ann” returns to Cruiseport Gloucester on Thursday, November 12, from 6-9PM. The event features the best of Cape Ann eateries offering food, wine and spirits for one $25 ticket price with the proceeds of ticket sales going to support Cape Ann YMCA Teen Service Initiatives. The service trips enable local youth to spend a week working in communities hit by environmental and economic devastation. Teens participate in learning modules before and after traveling on school break to offer hands-on aid in areas of great need. The New Orleans Mission, now in its 5th year, originated as a Cape Ann trip but has generated enough interest to cause its expansion to include youth throughout the North Shore YMCA system. We will heavily promote the event and announce event contributors as they come in on Facebook. We will also provide colorful event flyers to hang in your shop window announcing your participation in the 7th Annual Taste of Cape Ann. Free press and food blogger tickets mean even more local food-focused coverage of the event. Fun event, local audience, free press and a good cause for some really great kids. Restaurants wishing to participate should contact Jennifer Amero at JameroMarketingSuite@gmail.com . There is no vendor fee. We ask only that you read and sign the logistics/registration form, plan to bring enough food for 250 guests to have a small sampling of your best buzz-worthy offering and that you come prepared to hand out menus and advertising information and anything you want to get in front of local diners. To that end, restaurateurs should plan on staying through the event or sending a sociable representative from their venue to help in a great PR opportunity for a great cause. (Detailed logistics will be sent upon signing on). Links to articles on both these missions can be found after the event details. Join us this weekend!! We would love to welcome you aboard!! Best Lobster Roll on the North Shore!! We are proud to announce that Seaport Grille has been awarded the 2015 Northshore Magazine BONS for our famous Lobster Roll! Our deliciously fresh lobster roll is once again receiving accolades!! 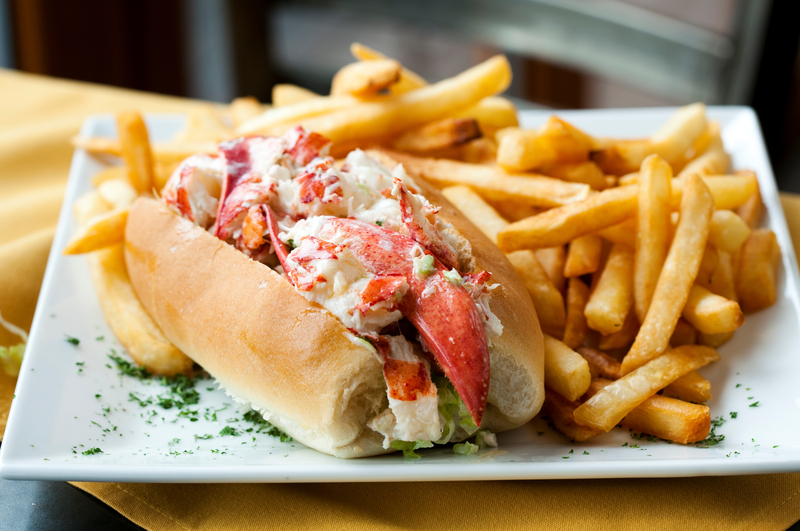 The only thing better than a tasty lobster roll out on the deck in the summer is a tasty lobster roll out on the deck in the summer on Thursday at Seaport Grille when they are only $12.95!! Greasy Pole Cruise FLASH SALE!! 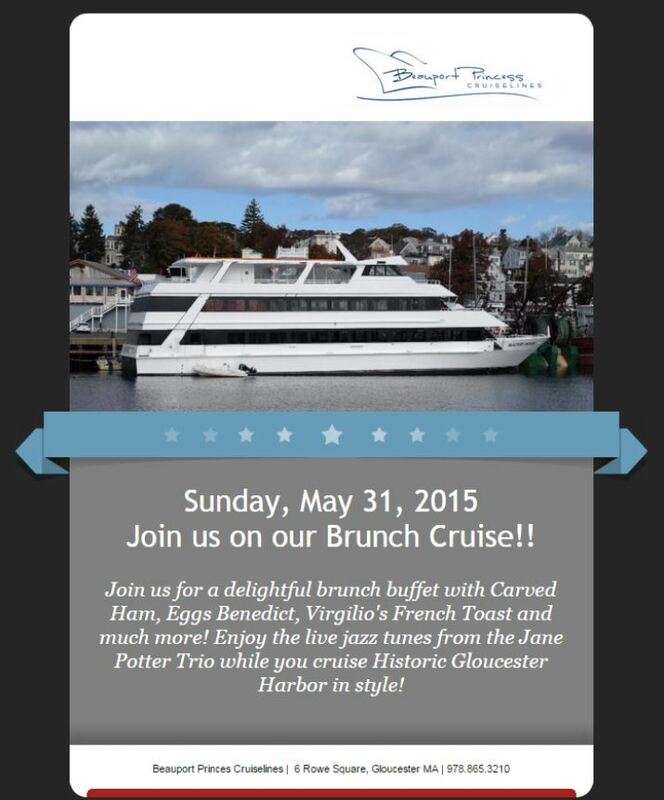 Call 978-865-3210 to get your tickets today!!! Come join us as we anchor for the best view of the Greasy Pole in Gloucester!! Enjoy the festivities of the Greasy Pole while you dine on a fresh shucked Lobster Roll, Clam Chowder, Virgilio’s Roll and Chocolate Mousse for dessert!! It’s the perfect way to enjoy St. Peter’s Fiesta!! 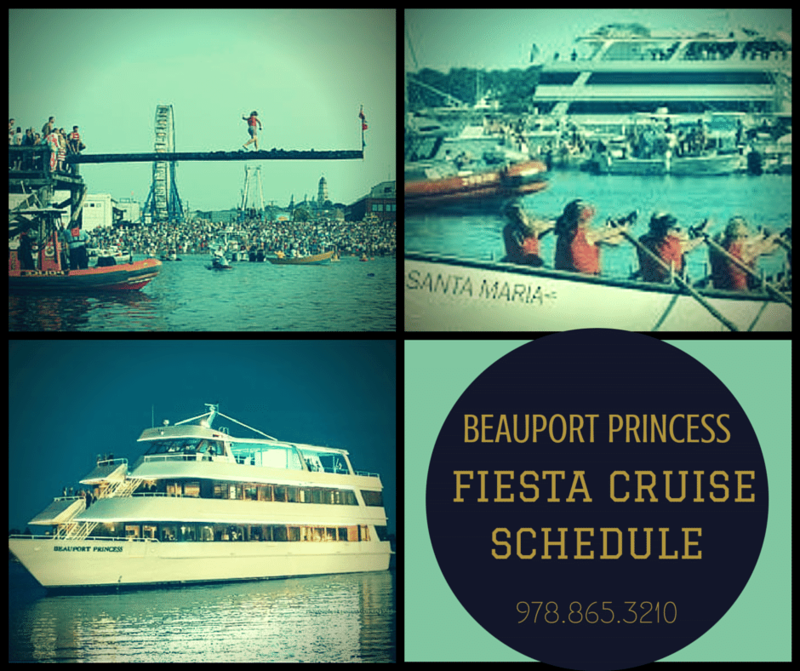 Go to www.beauportprincess.com to purchase your tickets today! !